On the afternoon of November 4th, 2018, Gary passed away in his home after battling cancer for a year and a half. He was 72 years old. Gary was born on March 26th, 1946 in Billings, MT to Weymouth “Bud” and Glennafae Willis. 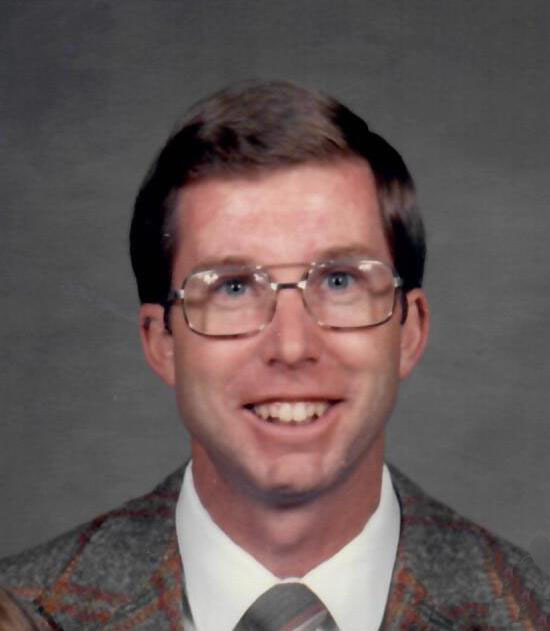 He was raised in Lewistown, MT, spent his grade school years at Lewis and Clark Elementary, and graduated from Fergus County High School in 1964. Through tales he has shared with family and friends, we know of his mischievous adventures during his growing up years, especially with his dad, Bud, and neighborhood crew. He and his big sister Dalene spent time with their parents picnicking, fishing, and enjoying nature. He also loved spending time in Winifred, MT on his grandparent’s farm. One of his fondest memories was sampling his grandma’s pumpkin pie. Sports have always been a big part of Gary’s life. During high school he was active on basketball, football, and track teams. He loved being part of a team, and continued to be a dedicated fan of Montana teams, especially the Fergus Eagles, U of M Grizzlies, and Carroll College Saints. He continued his track efforts for the University of Montana and later transferred to EMC to complete his degree in business, graduating in 1968. He worked very hard during summers in construction, at the East Helena Smelter, bailing hay, selling encyclopedias, cleaning carpets, etc. in order to put himself through college. He married his high school sweetheart and love of his life, Karen Kowatch, in 1970 in Lewistown, MT. After school, he went to work in sales for JC Penny’s for about a year and joined the Montana National Guard. Gary and Karen moved to Denver in 1970, and Gary began working for Phillips Petroleum. They reveled in getting a taste of city life, pool parties with their friends, and skiing in the mountains. They returned to MT in 1974 when Gary accepted a job with Montana Power Company in Helena. There, Gary and Karen were active in Jacees and Jayceens. Daughters Janine and Lisa were born in Helena prior to his transfer to Lewistown with the Power Company in 1980. Gary continued his marketing career and became involved in numerous community activities including youth baseball, Elks, and Lions. In 1982, their son Rick was born in Lewistown, which became an ideal setting for Gary’s outdoor hobbies of camping, fishing, hunting, and golf. Gary and Karen moved their family back to Helena in 1989 for his new career as a lobbyist for Montana Power Company. His gift of gab and ability to connect to all people made him an effective and respected lobbyist. During this time, he served on the board of directors for Montana Water Resources Association, was a member of Kiwanis, and provided service to Big Brothers Big Sisters. Many holidays and summers were spent vacationing with their children, sometimes completing road trips as long as 3 weeks. Exposing their kids to as many different people, places and experiences was important to Gary, and they were fortunate to visit all 50 States, along with the British Isles and Mexico as a family. Gary retired from Montana Power Company in 2003, but continued working on contract for Northwestern Energy until 2005 when Karen retired. After retiring, he formed Willis Oil and Gas and enjoyed acquiring and selling oil and gas leases. Traveling became a focus, venturing to Arizona for winters with Karen and Kathy, his mother-in-law. Much joy was attained from annual trips to Fairmont, Canada, visiting children and grandchildren, and exploring other countries outside the States. Their last big trip was to Australia and New Zealand, a lifelong goal of Gary’s. Gary is known for his jokes, storytelling and often retelling, many times laughing the loudest at his own jokes. His positive outlook and perspective on life, along with his ongoing curiosity and boisterous energy were a gift to us all. Gary is survived by his loving wife of 48 years, Karen; his adoring children Janine (Dan) Krebs of South Carolina, Lisa Willis (Craig Hutchison) of Minnesota, and Rick Willis of Colorado; his sister Dalene (Don) Bailey of Virginia; his beloved grandchildren, Zachary, William, and Cora Krebs; his niece Tracy Shultz, his nephew Brandon Bailey, and numerous cousins and friends. Gary is preceded in death by his parents, Bud and Glenna Willis, and his in-laws Ken and Kathy Kowatch. We would like to extend our sincere gratitude to Hospice of St. Peter’s, especially nurse Cheryl Sabol, Dr. Thomas Weiner, Dr. Andrew Cupino, and all the other kind doctors and nurses who eased the journey of the past year and a half. A funeral service will be held at 2:00 p.m. on Friday, November 9th at Anderson Stevenson Wilke Funeral Home, 3750 N. Montana Ave. in Helena with a reception following in the social hall of the funeral home. A graveside service will be held at 1:00 p.m. on Saturday, November 10th at Lewistown City Cemetery in Lewistown, Montana. Memorials in honor of Gary are suggested to the American Cancer Society, PO Box 42040, Oklahoma City, OK 73123, or to Hospice of St. Peter’s Health c/o St. Peter’s Health, 2475 Broadway, Helena, MT 59601, or to a charity of the donor’s choice. Please visit below to offer the family a condolence or share a memory of Gary. So sorry for your loss. Gary fought the good fight and is now in the arms of his maker 🙏. What a gifted and giving man. I will miss his one of a kind smile and whit. Praying for you all during this difficult time, days and months to come. God Bless. Grew up with Gary in Lewistown and he seemed to never change. Always a big smile on his face and a wonderful laugh that came easily. If I had been a stand-up comedian I would have wanted Gary in the front row. In all the years I knew him I never heard him utter anything bad about another person, unless it was in jest. He leaves this world a better place because of his gifts. My sympathy to Karen and all family members and friends. Karen and family, so sorry to hear of Gary’s passing. He was a smart and witty man with a very kind heart. Mae he rest in peace. Karen and family. So sorry to hear of Gray’s passing. My thoughts and prayers are with you. If there is anything I can do to help you at this time please call on me. I will not be able to attend the service as I will be out of town. As friends and neighbors of Gary’s daughter, son-in-law and grandchildren, we always enjoyed when Karen and Gary visited Irmo, South Carolina. The energy and laughter he brought was contagious, and I personally loved hanging out with him when our neighborhood parties coincided with their visit. He loved Zachary, William and Cora fiercely, and we will miss seeing them run at him with open arms at every arrival. I do not know you family but had the privilege of meeting Rick on a flight from Denver to Helena. What a wonderful young man! My condolences to your entire family. Just letting you know you are in my prayers. Gary and I were colleagues at The Montana Power Company. I am sorry to hear that he passed away. Gary was such a good person and capable employee, always representing the company well. His personality and good nature just lit up the room wherever he was. We send our prayers and condolences to Gary’s family. Karen, our deep sympathy to you and the kids and their families. We are so sad that the world has lost a fun and funny guy, a kind and generous man. May you be comforted knowing that many lives are richer for knowing Gary. Be gentle with yourself and remember to lean on your many loving friends. Karen and family, Karen and Gary, our favorite canasta partners, Doug an I enjoyed playing with, whether it be at their home, lake or cabin. I am truly blessed to have met and spent time with both. I will always remember Gary as I remember the last time I got too see him. Very truly good friends. My thoughts and prayers to you Karen and your family. We will keep in touch. Love you, Della. The Willis Family was my host family during my time at Carroll. They provided me a home away from home and of course, Gary was the center of attention. He was a great husband and father. I already miss his wild commentary at Fantasy football meetings and a Thanksgiving Dinner doesn’t go by without remembering fondly the whole family taking me in like one of their own; for great food and a rambunctious game of Tripoly. Our thoughts and prayers continue to be with Karen and the entire family. I met Gary the summer before he fell ill when he was visiting his daughter Lisa, who is my friend and colleague. He was very friendly and warm. I felt like I knew him for a while. My heart is broken to know that people will miss him so much. Much love to the whole family. Karen and family, My prayers are with you in this time of your loss. In all my years in the lobby with Gary there was never a dull moment. He kept us all on our toes and I personally enjoyed his friendship all of those years. I will miss my friend Gay. God bless you and yours. Gary was a good friend. I enjoyed my time that I spent with him while I lived in Helena. I remember his wonderful humorous stories and a lot were about him. He had a contagious laugh. Gary had a big heart and great soul. He will be truly missed. God Bless Gary and you and your family. We are friends and neighbors with Janine, Dan, and their children in Irmo, SC. Over the years, there have been many visits from Karen and Gary with the family, and it was always a joy to see Janine chatting with her folks, smiling and laughing and enjoying their time together. Karen and Gary, both running around, giggling with their 3 Grandchildren. The kids just adoring every precious second. Gary was always so friendly, personable, and just a wonderful guy to be around. We are so sorry that this world has lost such a force of caring, strength, laughter and fun. Our hearts are with the entire Willis/Krebs family at this difficult time. The years that Gary, James Rammelt and I went to the end of the road in Saskatchewan were amazing trips, filled with loads of adventure and tons of big fish. Gary was a tremendous guy to have on a fishing trip, his stories and jokes were the best. I was always amazed at the number of jokes he had at the tip of his tongue. When I served in the Legislature, I always had the highest respect for Gary in his job as a lobbyist. He was an honest and good person. Gary added bright, enthused color to our coffee commentary. He was a really good person. He was a good sport on our fabled tandem ride in Willow Creek. Our thoughts and prayers to Karen and family. Gary was a kind and smart man with a great sense of humor and a wonderful laugh. He was well-respected in his job as a lobbyist for Montana Power Co. Gary had friends throughout Montana and will be missed by many..
We are so sorry for your loss of Gary. He was a good man and had a winning personality and smile. You will all be in our thoughts and prayers in the days to come as you walk this new path without him. Gary’s Dad and my Dad were best friends. And Gary would tell you what one didn’t think of the other one did! I think Gary and my brother were involved in some of those adventures. And they were sworn to secrecy. We kids were raised together. And Gary was born with his sense of humor, wonderful joyful laugh. His love for Karen and his kids knew no bounds. The same with his extended family and friends. He was an honorable man; loved and respected. Darlene he loved you dearly. Karen, you were the love of his life! My heart cries. My life has been richer because he was a part of it. We are so sorry to hear about Gary. Our thoughts and prayers are with you. Karen and family—– J. Anne and I have been out of the country for the last three weeks, and upon returning and trying to “catch up” on the news, found to our despair that Gary had passed on. Our deepest sympathies. We both enjoyed Gary a lot— with his winning personality and hearty sense of humor. He also generously gave me his assistance with a family oil lease we had—- his knowledge in that field was substantial and he willingly shared it. Karen and family….our thoughts and prayers are with you all. Gary was a friend and influence to so many people through his professional life and personal life. He was full of the dickens and had story after story. Such a fun guy to be around at all times, caring and loving of his wife and kids. He loved to golf and it was hard to play a swing if he was telling a story or joke. His laugh and smile just made you love him!